Breckenridge Condo in Summit County! Condo, 1 Bedroom + Convertible bed(s), 1 Bath, (Sleeps 4), + Free Wi-Fi. Luxury Condo between Breckenridge and Frisco across from the Jack Nicklaus Designed Golf Course. Even if your golf game isn't that great, you will love the panoramic views! The Condo is in great condition and beautifully decorated...you'll enjoy the cabin atmosphere and charm. The Condo has a well appointed kitchen and washer/dryer too! There is an Iron and Ironing Board provide just in case you need to touch up a few items. Not only is there a hair dryer in the bathroom, but we also left you some shampoo, conditioner and lotion, just in case you forgot yours. Please Take Advantage of the Free Shuttle to Breckenridge Ski Resort! Check out the Common Area Hot Tub... Great for Relaxing after a long day on the slopes. If you did not get a good enough workout one day, finish up with some reps in the workout area. Conveniently located for easy access to Breckenridge (free shuttle in the winter to Breck), Frisco, Keystone, Dillon, Silverthorne, Copper Mountain, A-Basin, Loveland and even Vail! Year round activities and festivals abound for all sorts of family entertainment. Great restaurants and shopping (Outlet Mall! ), fabulous sports and fitness opportunities...hiking, biking and wildflowers! Enjoy a charming vacation home with the warmth and feel of Colorado. Pamper yourself with every amenity you would expect from fine accommodations. The decor is very warm and inviting with a winter lodge feel. The community hot tubs are absolute heaven after a long day on the slopes. The deck is a nice place for relaxing with your favorite drinks. Living room has a 40" LCD TV. Close to Skiing - Quiet at Night - Accessible: Located within the Breckenridge city limits conveniently off the main road into the town of Breckenridge (Highway 9 and Tiger Road - Turn left at the first Breckenridge Stop Light). You are close to everything! The Nordic Cross Country Ski Center, Bike Trails, Blue River are only 2 blocks away. Lake Dillon is just 6 miles north, downtown Breckenridge and the Gondola are 4 miles south. The Frisco bay marina rents canoes, kayaks and boats. Ride the shuttle or a bike to get around. The radiant in-floor heating keeps you warm and cozy during the winter months and the sliding Glass Doors and deck encourage you to enjoy the wonderful summer and fall days. Home is not up a steep mountain road, you won't have to worry about getting stuck in the snow. 4-Wheel drive is not necessary. The Shuttle picks you up on the hour 8 to 5 and drops you off at the Snowflake Lift (Grand Timber Lodge & BlueSky Lodge) on the hour. Beaver Run (Beaver Run Resort & Valdora) 15 minutes after the hour & Maggie Ski Lift (Hilton Main Street Station, Park Avenue Lofts The Village Hotel, & Mi Casa Restaurant) 20 minutes after hour. Ski Runs Open at A Basin /Nov 9th for Breckenridge: * Ski Areas - five within five to 30 minutes (Breckenridge, Keystone, Arapaho Basin, Loveland, Copper Mountain, and Vail/Beaver Creek) * Golf - Breckenridge Golf Club is across the street or an additional three championship courses within 15 minutes * Outlet Shopping (Tommy Hilfiger, Polo, Coach, & more) - 100 stores within ten minutes * Recreation Center - featuring indoor swimming, aerobics, climbing wall, and skateboard park within five minutes * Fly Fishing - across the street on the Blue River Come enjoy the best that Summit County has to offer and stay in luxurious comfort at Highland Greens. Amenities: Fireplace, Blue Ray DVD, Netflix, Full Kitchen, Microwave, Dishwasher, Refrigerator, Ice Maker, Cooking Utensils provided, Washer and Dryer, Hot Tubs and Sauna. Floors are radiant heat (warm to your feet). Mike and Lisa Wade - live in Boulder Colorado - love to come to Breckenridge and Frisco for wildflower hikes, snow shoeing, golf and holidays! We've taken great care to give this condo the ambiance you want during your Colorado ski town holiday! We have tried to stock it will the comforts of home and think you will really enjoy it! Proximity to so many potential adventures or just the R&R you are looking for! Lots of spices there for you! Assortment of CDs for your listening pleasure. A Beautiful 27 Hole, Jack Nicklaus Designed Golf Course just .25 miles across the street. Near Highland Greens Lodge is Breck's Jack Nicholas 27 Hole Golf Course & cross country Nordic Ski Center (has sports store with cross country ski and ice skating rentals, restarant and sports bar) Activities include: Draft Horse Drawn Sleigh rides, Ice Skating, Cross County Skiing, Dog Sledding and Snowmobiling Shuttle has 4 ski stops in day time. A private ski shuttle runs every hour during the winter to pick you up in front of the lodge. Shuttle Stops: 1.Snow Flake Lift/Blue Sky Resort/Grand Timber Lodge (5 min past hour). 2.Beaver Run Lift/Beaver Run Resort (10 min past hour). 3.QuickSilver Lift/The Village (15 min past hour). 4. Breck Connect Gondola/Bus Station (20 min past hour). Shuttle operates at night on request, and can be reached at 970-486-0004. Take the Free Summit Stage Bus from the close Tiger Run Bus Stop (3 min ride/next stop) to The Breckenridge Community Recreation Center has indoor heated pools, rock climbing walls, racquet ball and weight equipment for $10 a day. This is a great location for getting into Breck, Frisco, and surrounding ski areas. Lisa is a great host and went out of her way to help ensure our stay was enjoyable. We loved the condo. Thank you for letting us stay! You are so welcome we are glad you had a great time! Very neat, clean, and convenient!! Very comfortable. Close to everything. The property was very nice and well maintained. Would definitely stay here again. Thanks so much, glad you enjoyed your stay! Great location! Very well kept and Clean! Bed comfy. Nicely decorated Close to town and skiiing. We actually can’t wait to go back. Always love visiting this perfect getaway in Breckenridge! This condo is just outside of downtown. It is very cozy and comfortable. Perfect for a weekend getaway anytime of the year! Thanks so much glad you had a great time! Nice, clean, comfortable. Convenient location. Easy drive to Breckenridge to ski and explore the town. Would come back again. About halfway between Frisco and Breckenridge just off Hwy 9. Easy access to activities in Summit County and Vail. 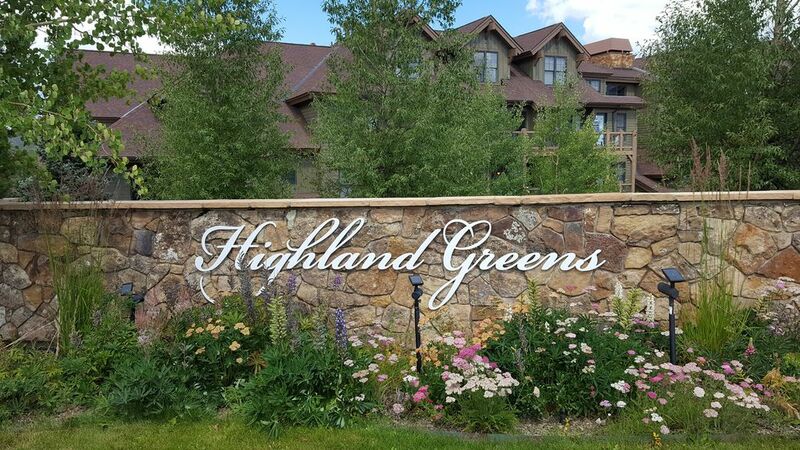 This wonderful condo is across from the Breckenridge Golf Course, with access to other golf courses in Silverthorn, Keystone, Cooper and Vail. Free Shuttle to Breckenridge Ski Area. In the summer, use the paved bike/walking trail just minutes from this Breckenridge vacation rental that runs from Breckenridge to the town of Frisco and beyond. There is also easy access to a wide selection of hiking and biking trails that wind through our National Forest. After a satisfying day on the mountain your options are infinite. When you stay at this Warm Mountain Ski Home during the 2014/2015 Ski Season. Enjoy a charming vacation home with the warmth and feel of Colorado. Pamper yourself with every amenity you would expect from fine accommodations. The decor is very warm and inviting with a winter lodge feel. The community hot tubs are absolute heaven after a long day on the slopes. The deck is a nice place for relaxing with your favorite drinks. Living room has a 40' LCD TV for those football games you can't miss. Close to Skiing - Quiet at Night - Accessible: Located within the Breckenridge city limits conveniently off the main road into the town of Breckenridge (Highway 9 and Tiger Road - Turn left at the first Breckenridge Stop Light). You are close to everything! The Nordic Cross Country Ski Center, Bike Trails, Blue River are only 2 blocks away. Lake Dillon is just 6 miles north, downtown Breckenridge and the Gondola are 4 miles south. The Frisco bay marina rents canoes, kayaks and boats. Ride the shuttle or a bike to get around. The radiant in-floor heating keeps you warm and cozy during the winter months and the sliding Glass Doors and deck encourage you to enjoy the wonderful summer and fall days. The Shuttle picks you up on the hour 8 to 5 and drops you off at the Snowflake Lift (Grand Timber Lodge & BlueSky Lodge) on the hour. Beaver Run (Beaver Run Resort & Valdora) 15 minutes after the hour & Maggie Ski Lift (Hilton Main Street Station, Park Avenue Lofts The Village Hotel, & Mi Casa Restaurant) 20 minutes after hour. Ski Runs Open at A Basin /Nov 9th for Breckenridge: * Ski Areas - five within five to 30 minutes (Breckenridge, Keystone, Arapaho Basin, Loveland, Copper Mountain, and Vail/Beaver Creek) * Golf - Breckenridge Golf Club is across the street or an additional three championship courses within 15 minutes * Outlet Shopping (Tommy Hilfiger, Polo, Coach, & more) - 100 stores within ten minutes * Recreation Center - featuring indoor swimming, aerobics, climbing wall, and skateboard park within five minutes * Fly Fishing - across the street on the Blue River Come enjoy the best that Summit County has to offer and stay in luxurious comfort at Highland Greens. Amenities: Fireplace, Blue Ray DVD, Netflix, Full Kitchen, Microwave, Dishwasher, Refrigerator, Ice Maker, Cooking Utensils provided, Washer and Dryer, Hot Tubs, Sauna and work-out room. Floors are radiant heat (warm to your feet).